Playtech is one of the world’s top three online casino software providers and this company originally formed back in 1999. Playtech has developed an exciting range of products in addition to its impressive Online Casino product, some of which include Online Lotteries, Online Poker, Online Bingo and also Mobile gambling software. These impressive products can be accessed using multiple devices and across multiple platforms. To date, Playtech has developed more than 350 different online casino games and new ones continue to arrive in casinos at least once every four to six weeks. This award-winning online casino software provider has developed technology which can either be launched instantly in your browser over a Flash casino platform or from within a perfectly secure download client. Playtech’s downloadable casino software can be installed onto your computer in one of several different languages, it comes with built in 24 hour support and it is compatible with most desktop computers. Playtech’s mobile casino software is compatible with most modern mobile & table devices. This company has developed an impressive catalogue of games including Table Games, Card Games, Video Slots, Classic Slots, Asian Games, Video Pokers, Leisure Games, Lottery Style Games, Instant Win Games and Multi-Player Games, plus a state of the art Live Dealer Casino with some exciting Live Dealer Games. 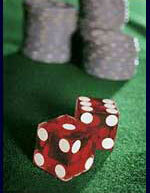 The company has also produced a progressive jackpot network with several different prize pools to play for. Keep an eye out for the Dollar Ball Progressive Jackpot and the Marvel Mystery Multi Level Jackpot. Apart from just a small handful of games which are only available in the real money mode (such as Beach Life), all other Playtech games are available in the real money mode AND in the free play mode. Some of Playtech’s most famous titles to date include Gladiator Jackpot, Monty Python’s Spamalot, Pink Panther, Kong – The Eighth Wonder of the World, The Sopranos, Piggies and the Wolf, Frankie Dettori’s Magic Seven, The Mummy, Baywatch, The Sopranos, Fortune Hill, Irish Luck, Desert Treasure, The Love Boat and Halloween Fortune. The most famous branded Marvel slots worth checking out include Spiderman: Attack of the Green Goblin, Wolverine, The incredible Hulk, Blade, Ghost Rider, The Avengers, Captain America and Thor – The Might Avenger. Playtech software can now be found in some of the world’s most advanced online casinos, many of which have been reviewed right here on this site. Playtech casinos are generally available to players from around the world and they are all free to sign up to. If you want to visit a Playtech casino today and see what this company really has to offer, head over to our online casino review section where you can find a list of fantastic Playtech powered casinos. When signing up to any of these casinos, we recommend installing the Playtech software onto your computer as soon as you get the chance.